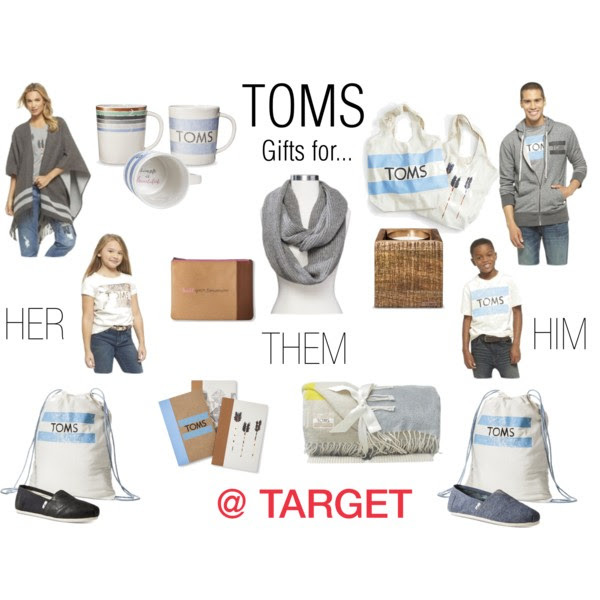 TOMS and Target have partnered up this holiday season for a great collection. For every purchase, TOMS is donating shoes, blankets and meals to those in need. It is a win-win for all because we all get to stay warm this winter and have full bellies. They make perfect stocking stuffers or great host gifts. I, especially, love the blanket throw and mugs because they just make me want to snuggle up next to my fireplace furnace with some hot chocolate with marshmallows and indulging in a great book. For the full collection click here. I really like the little mug. I think it’s so cute and something I’d actually use. Toms is such a fantastic organization. I really like their collaboration! Perfect gifts and a great cause!